Dana White believes a rematch with Dustin Piorier would make sense for Conor McGregor’s next fight. It’s far from a done deal, but Dustin Poirier and Conor McGregor could be on a collision course to face each other once again. The two first went toe-to-toe at UFC 178 in September, 2014. After a wild build up where the tension between the two fighters hit boiling point on multiple occasions, McGregor defeated Poirier in the first round after he landed a left hand and finished the American with strikes on the mat. Now, four years on since that fight, the two could be set to meet other again in a number one contender fight for the UFC lightweight title. 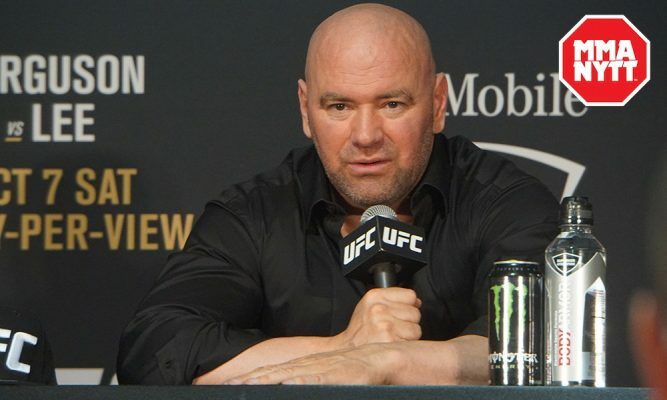 Talk of the fight came about this evening when UFC President Dana White was asked whether the promotion were looking to put a fight together between McGregor and Donald Cerrone on the FS1 post fight show. White denied that they were and suggested a they could be looking at an alternate plan that instead involved McGregor, Poirier, Tony Ferguson and champion Khabib Nurmagomedov. White was then asked about the situation again backstage in a post-fight scrum with reporters and he clarified that at this point in time it was only an idea and things had not been taken further. Whilst the fight is far from being made, Poirier took to social media to give his reaction. Suffice to say, a rematch with the Irishman would bring ample opportunity for the American Top Team. A big payday, an opportunity to get a shot at the champion, and ultimately revenge over a bitter rival would be the biggest night of his career so far. It’s now all eyes on the Nevada State Athletic Comission to see what punishments are handed out to McGregor and Nurmagomedov following the incident that occurred after their fight st UFC 229.